Time and again, we are approached by users wanting to know which coating will be best for their application: graphite suspension/paste or boron nitride suspension/paste. 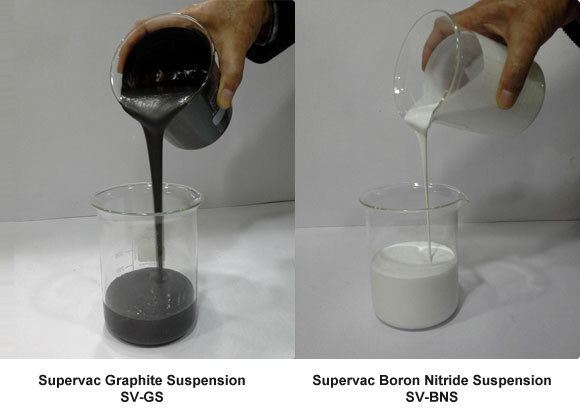 Often, the same vacuum system manufacturer who earlier recommended boron nitride suspension/paste is now recommending graphite suspension/paste or vice versa, as a coating inside the vacuum chamber. This has led to much confusion amongst the users. In this blog, I have attempted to address this confusion by stating the properties of both along with the pros and cons of their use. Either of the two can be selected based on one’s requirement. This is made up of very fine graphite particles in either water based or solvent based suspension. For vacuum coating purposes, water based suspensions are better suited since they do not release any vapours and thus do not hinder the vacuum formation process. Graphite suspension is electrically conductive. It is thermal resistant in nature. 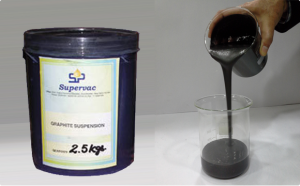 Coated graphite suspension provides an excellent barrier to the vacuum chamber walls against any chemical or process gases. Graphite suspension/paste works as an excellent release agent. It is chemically inert; so does not react to any chemical or molten metal vapours. This is a semi-metal material. BN suspension/paste comprises of ultra fine particles of boron nitride in aqueous base or solvent base. Water based boron nitride suspension is always better than solvent based for vacuum coating purposes as the former releases no vacuum hindering vapours. It acts as an excellent protective barrier for the vacuum chamber walls against any chemical or process gases. BN suspension acts as a release agent, enabling stuck aluminium to be wiped off the vacuum chamber floor. This is an Advanced ceramic material. Even though both these suspensions have a lot in common, there are some ways that make them uniquely divergent as well. 6 Can withstand temperatures Up to 600ºC. Can withstand temperature Up to 1700ºC. Both Graphite coating and Boron Nitride suspension can be used as a coating in vacuum chamber to prevent Aluminium from sticking to chamber walls in Metalizing industry or as a general lubricant in so many other applications. Both have got the required lubricity and inertness. Use Boron Nitride Suspension/Paste if clean working environment is very important or an electrically insulating or thermally conductive coating is required. Also if working temperature is very high. Use Graphite Suspension/Paste if cost saving is a major consideration or if coating has to be electrically conductive or thermally insulating. Also if working temperature is moderately high (less then 6000C). 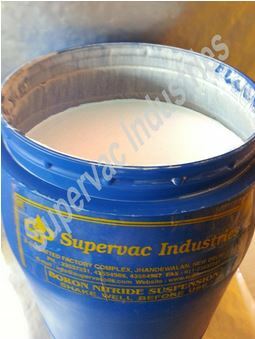 Supervac Industries, New Delhi, is number one manufacturer and supplier in India, of both these products. It supplies both High quality Graphite suspension and Premium quality Boron Nitride suspension to a very large number of customers all over the world. Synthetic Rotary vacuum pump oil vs. Mineral Rotary vacuum pump oilWhy Should Vacuum Oils be changed at specified intervals?